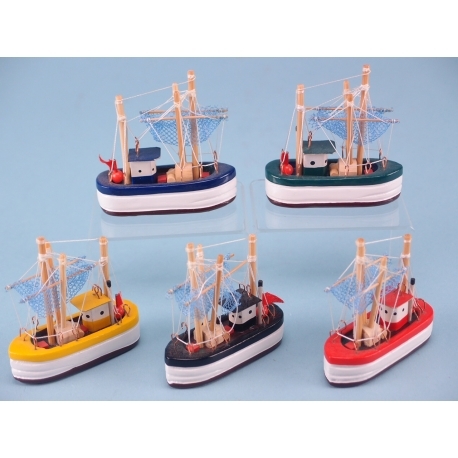 Would you like to give you range of items some character with a unique selection of miniature fishing boats? If you would, call the team at SDL Imports today on 01202 291 122 and get yours now. Here at SDL Imports, we pride ourselves on supplying our clients with high quality items which have character and deliver unbeatable decorative qualities. 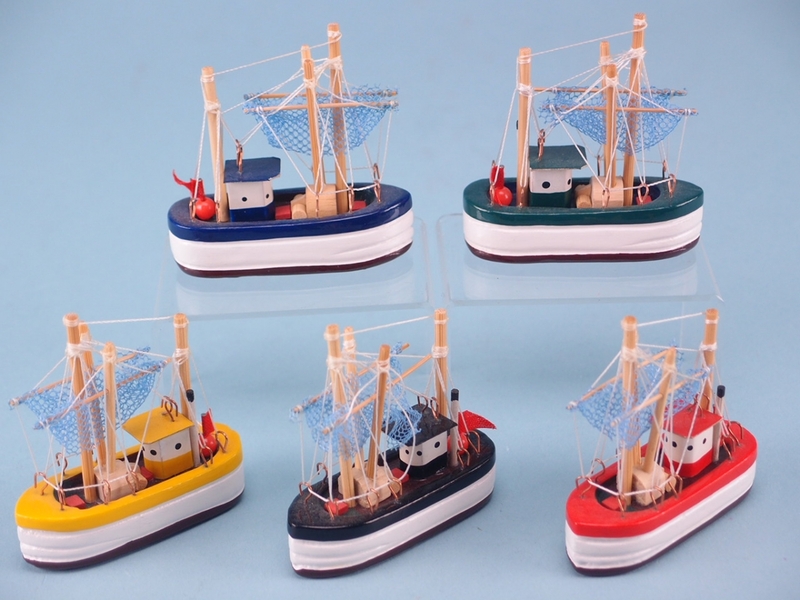 In this respect, we are happy to be able to offer these miniature fishing boats, which are typical of the more traditional trawlers. There are five different colours of boat, including; blue, green, yellow, black, and red. The intricate design adds a lot of detail to the model, including masts, sails, and simulates all of the ropes and riggings that would be on a real vessel. These little boats can be situated anywhere in the home and will fit in to the existing decor, while adding character to the room.